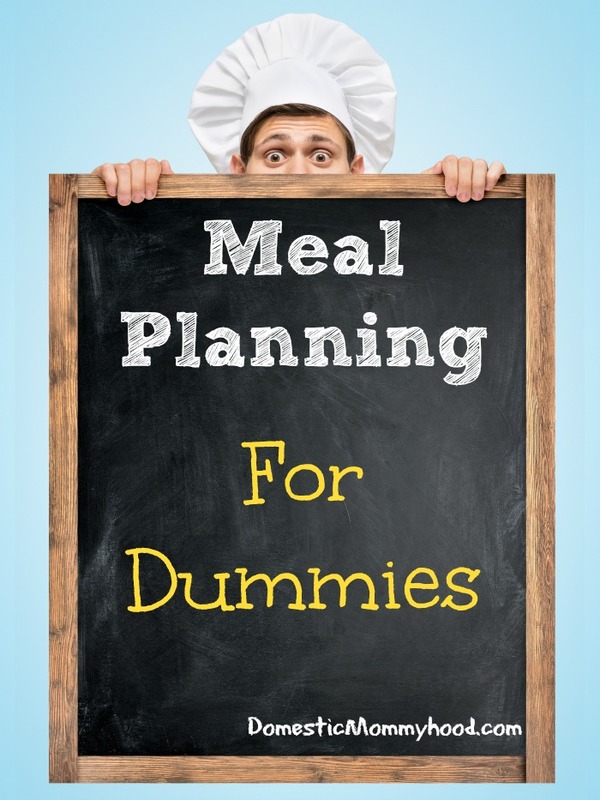 Many people have turned to meal planning to help save precious time, money and piece of mind and for good reason. If you spend 30 minutes planning out your meals for an entire two weeks you will spend much less at the grocery store and only have to go one time which is priceless for busy moms and dads. So just what is meal planning?? Meal planning is where you will sit down and figure out what you are going to serve for a specific amount of time. In our house payday comes every two weeks so every weekend I spend time writing down our meal plan and creating my shopping list for the following two weeks. There are many reasons for doing this but the two main reasons for me is it saves me loads of cash (only one shopping trip saves on a ton of impulse buying) and time. Time can be a big one because if you have to run to the store every few days or have to spend time daily trying to decide what is for dinner it can be a real bummer. So now you are probably wondering how exactly do you meal plan?? Well here is a quick how to to get your started!! Grab a Calendar – Begin by looking at your calendar and see what nights need to be “EASY” nights. These will include things like school functions, church meetings… anything that will cause you to need to have an easy meal prepared. Once you have those dates marked on your calendar you can start filling in the days. Figure out what you are going to plan for supper for the next 2 weeks. Once you have your meals marked down on the calendar you can move onto the next step. Grab a Notebook – Grab a notebook and start planning your grocery list. You will need to look at your calendar and start with the first day’s meal and begin writing your grocery shopping list (make sure you check your cabinets for ingredients, no need to buy something you already have!). Once you finish with day one move onto day two. Make sure you are in a quiet area to do this….. you don’t want to miss an ingredient for you may end up back at the store…..yuck!! Head to the Store – Now it’s time to get your grocery shopping done. It’s very important to take your calendar and your shopping list with you. Every once in a while the store will be out of something you need for your meal planning and you will want to re-do your list right then and there. It’s much easier than trying to figure out what you changed to later after you get home. It is important to follow the plan but you need to be somewhat flexible. Things happen beyond your control and you don’t want to stress yourself out about it. The idea of doing meal planning is to save your money, time and peace of mind. Keep that in mind and you will succeed! It may take a bit of getting used to but over time it will become easier and easier. I have been meal planning for years and it is a way of life for me now and I really get stressed out when I don’t do it!! I have a whole series I am working on about Meal Planning so make sure and sign up for my email updates below so you never miss a post! !